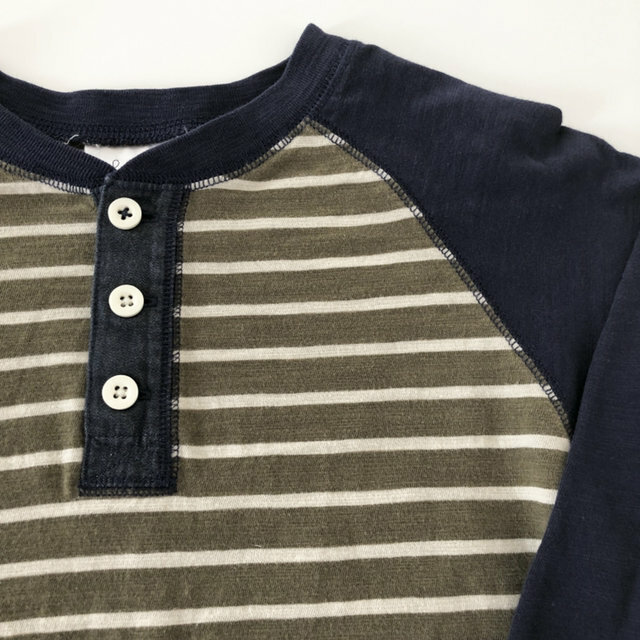 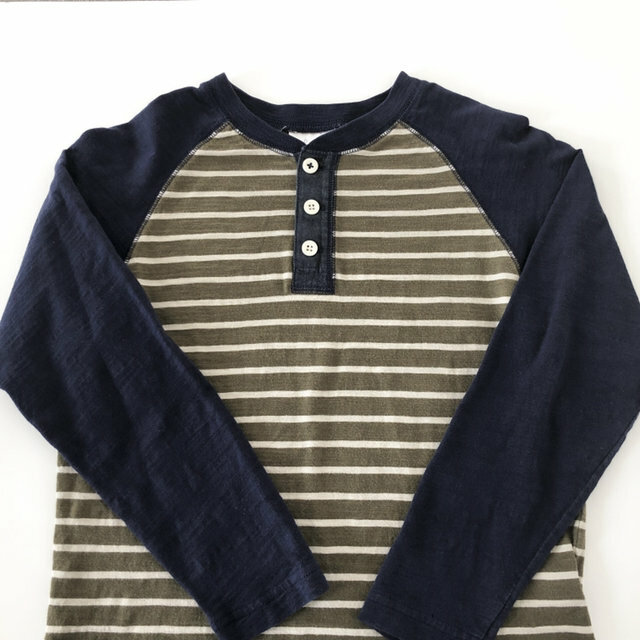 Just minor wash wear on this super soft raglan henley. 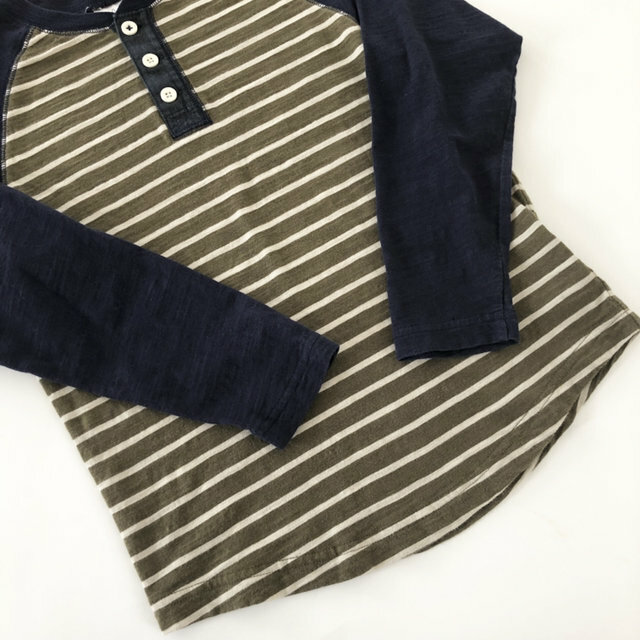 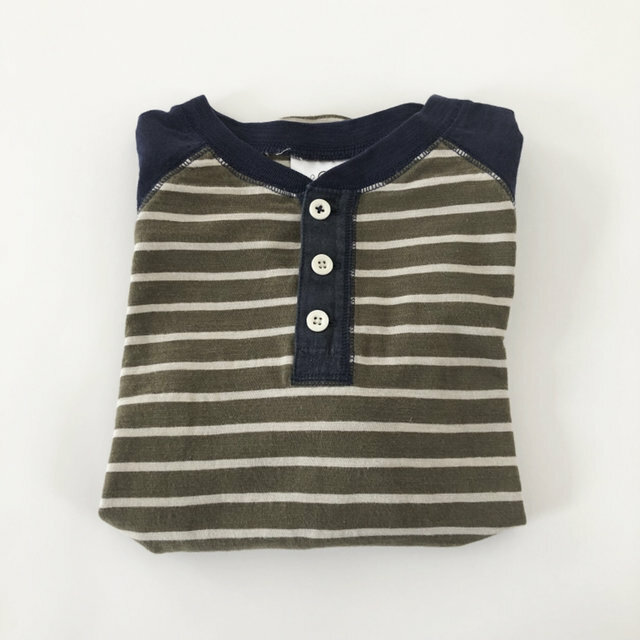 Olive green and ivory stripes with navy sleeves. 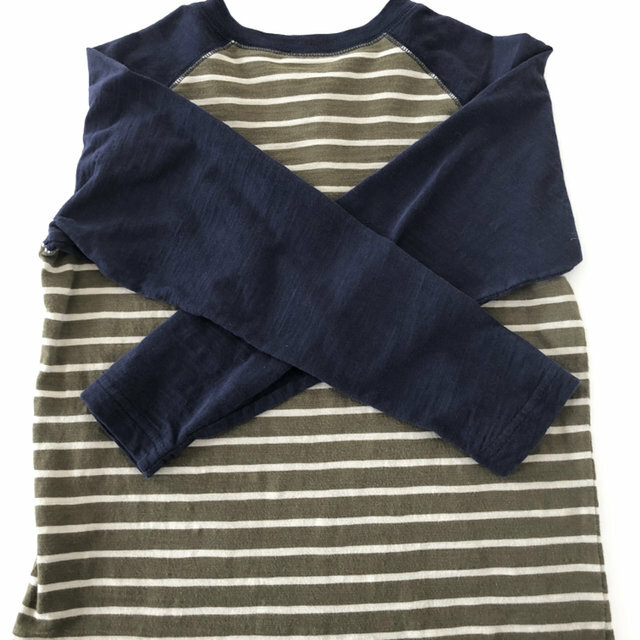 Size 130, or size 8.